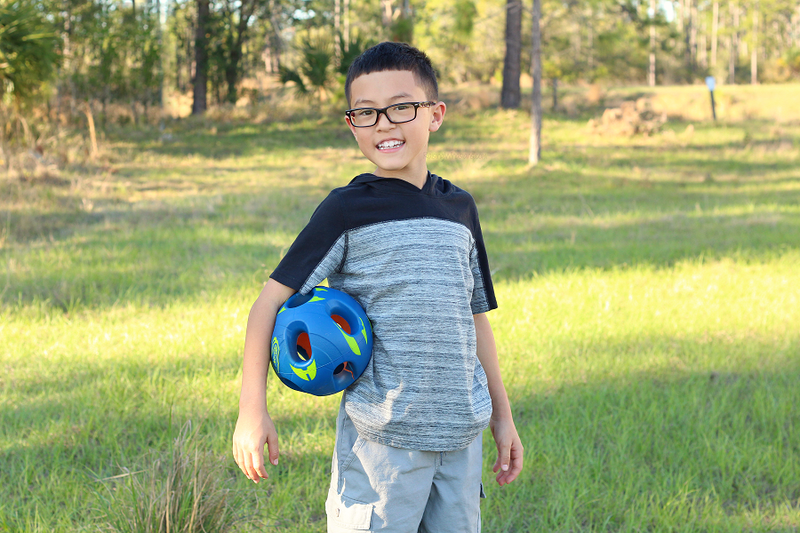 Balance your budget like a boss with My Secret to Buying Trendy Kids Clothes for Less. This post is sponsored by Family Dollar. All opinions are my own. One of the hardest things for moms to learn is balance. Balancing schedules, balancing meals, even balancing quiet time can be a difficult challenge as we navigate through parenthood. Balancing a family budget when you two kids with opinionated style tastes – welcome to my world. 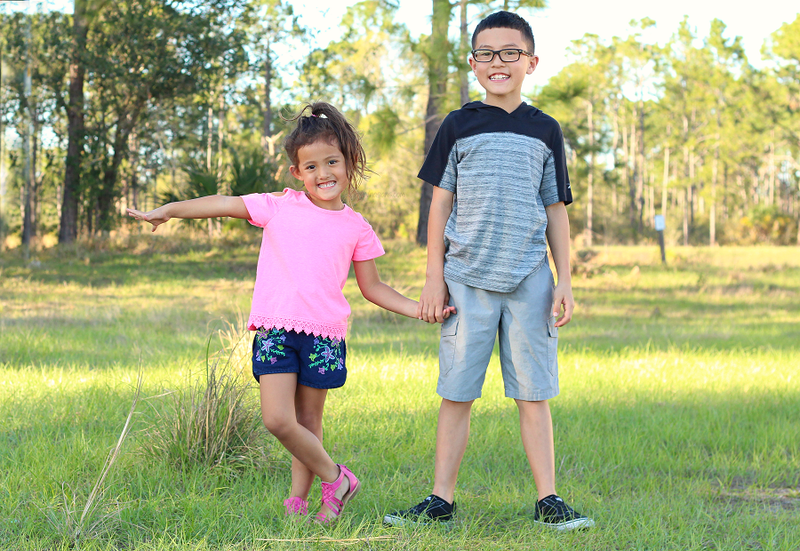 With spring underway and these two kids not slowing down in the growing department any time soon, I’m buying this year’s spring kids clothes for less with Family Dollar. Check out what I snagged for my two trend-setters while balancing our family budget, like a boss. Would you have guessed that I got all of these adorable trendy kids clothes for less at Family Dollar? Nope, me neither. If you’re a mom like me, you probably think of Family Dollar as a place for affordable kids school supplies, party ideas, and even pantry staples with Everyday Low Prices, Price Drop and $1 WOW items. I know what you’re thinking. Clothes? Family Dollar? 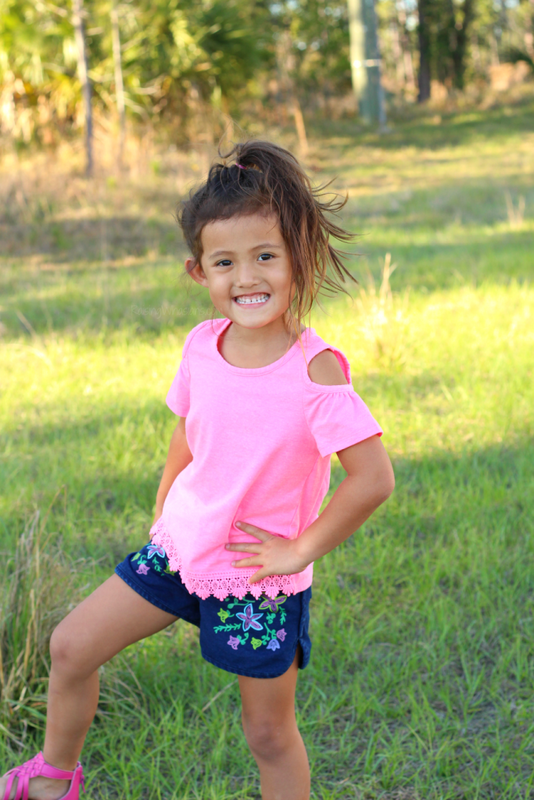 But with trends this cute, you’ll love snagging the best kept secret in kids fashion – for less! Check out what we grabbed for my kids, with girls and boys fashions to last us all spring season (or at least until we have another growth spurt). She’s a big kid now. Finally tall enough to ride the big kid rides at Disney and finally leaving the days of toddler sizes behind, this girl is growing more and more into an independent little lady. She definitely has a few opinions about what is fashionable and these days has no problem telling me what she will and won’t wear. At age 5 (going on 16), she knows exactly what trends are in this season. Bright colors. 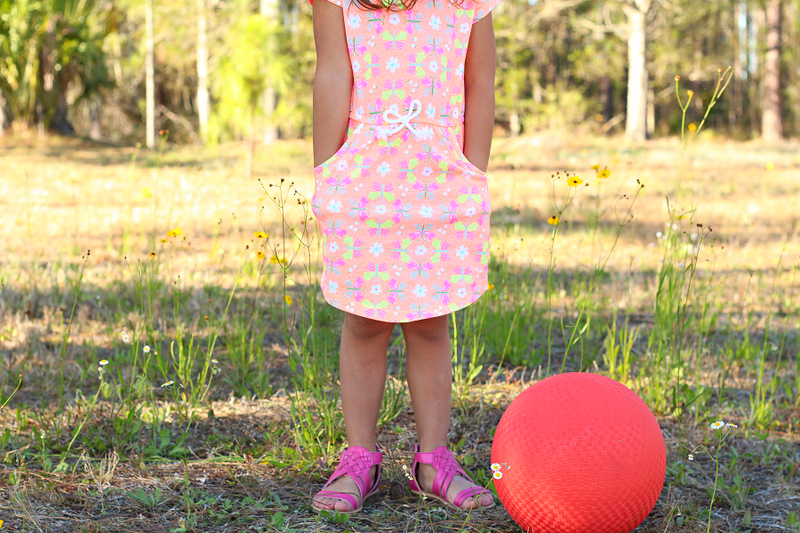 This adorable dress brings so much joy into our spring. 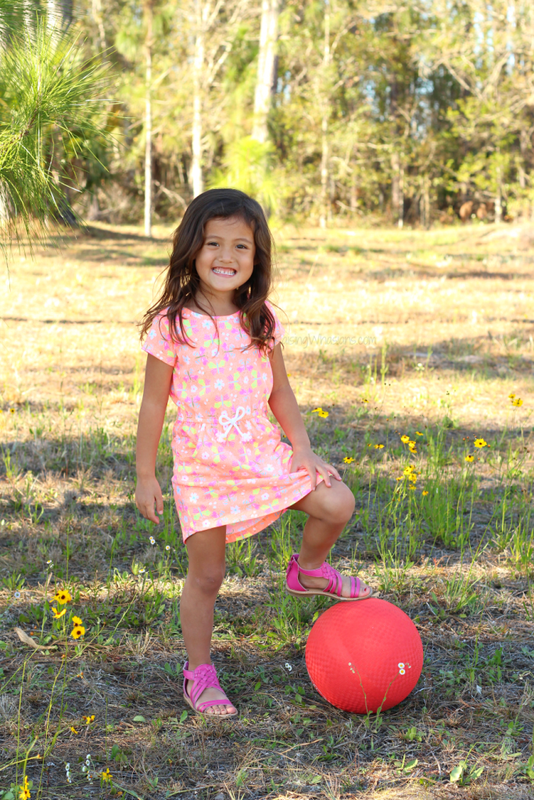 The bright colors and fun girly pattern is great for dress up or play. And how fun are the added pockets? Would you believe that I snagged this fun dress for a steal at Family Dollar? Fancy details. Oh this girl loves when there’s pretty detailing in her clothes. 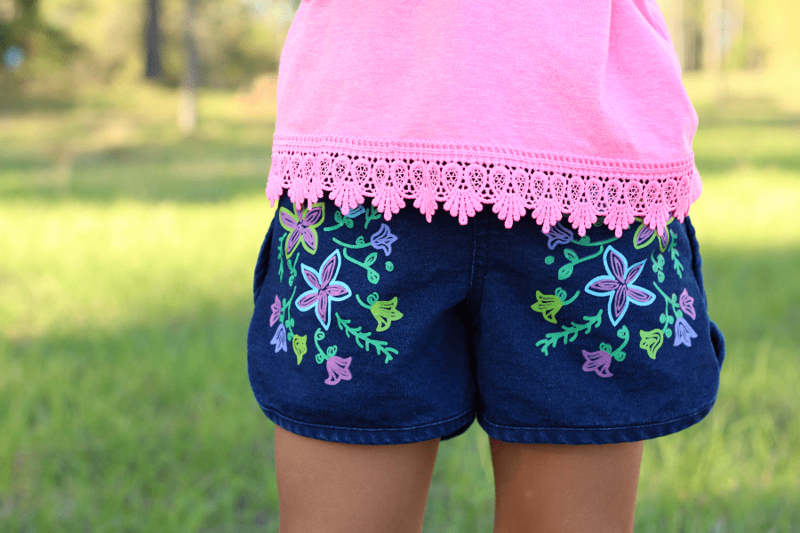 From a pretty pattern on her denim shorts to lacy trim on her shirts, Family Dollar keeps the cute in this cutie. And you can’t beat the price when this whole outfit cost me less than just one item at other stores. And cutouts. When did this girl fall in love with the cutout trend? This spring dress is definitely for twirling as the cutout shoulders and fancy jeweled neckline add just the right touch. But not only princess approved, this mom approves that this dress is on trend and on budget. Who’s ready for twirling? At 9 years old, this boy is ALL boy. He wants style, comfort and durability all wrapped up in an “I’m so cool” package. Super active, sporty and finding his place in this world, I love how this boy speaks his mind on everything, even his fashion. Shorts. I am constantly buying new shorts for this guy’s ever growing long legs. 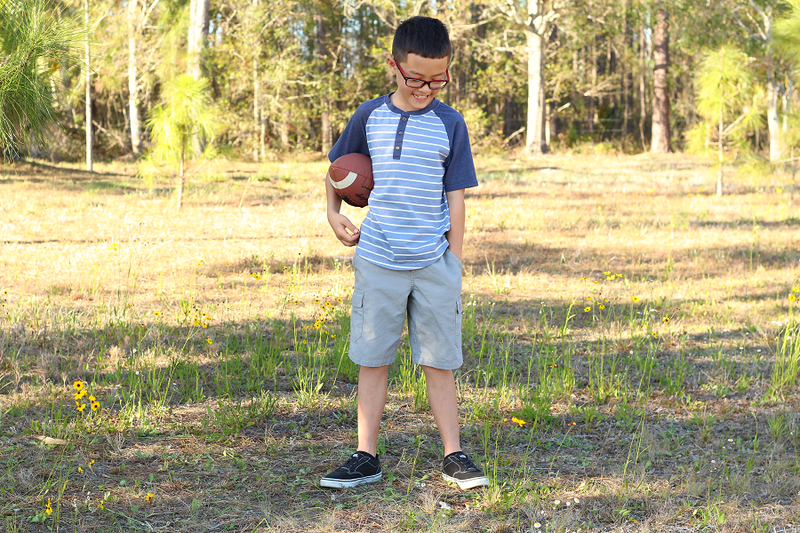 I love how Family Dollar boys shorts are made with high quality durable fabric, with lots of pockets and style without busting my family budget. Tees are always in style. 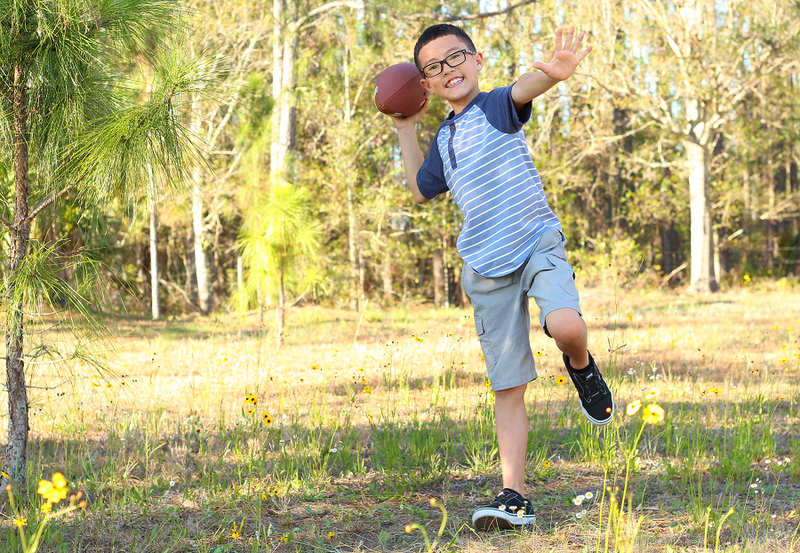 Comfortable, breathable and 9-year-old approved, these great tees will last him all season – from play time to school time to everything in between. 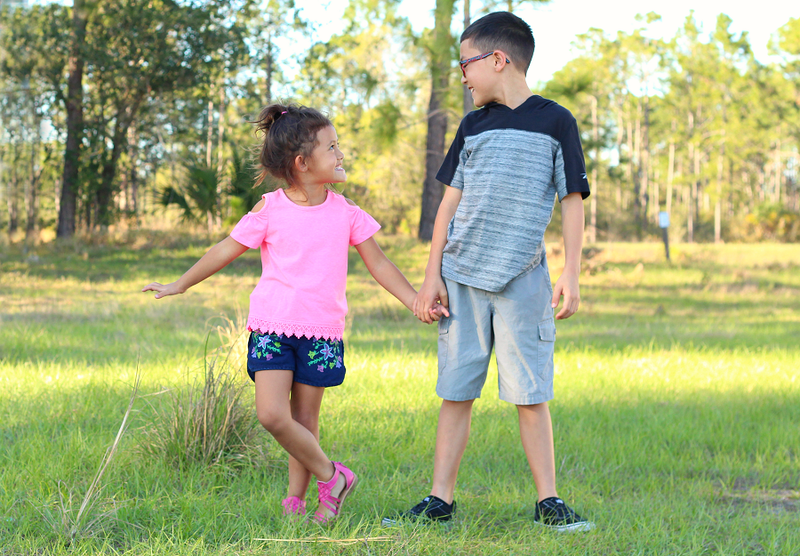 While I may not have mastered the balance of motherhood just yet, I am finding the right balance between my kids’ fashion preferences, and with dress starting as low as $6, tees as low as $4 and shorts for under $8 a pair, these Family Dollar kids’ clothes for less are perfect for my picky kids and my even pickier family budget. But even more than just affordable kids’ clothes, I love how Family Dollar cares about your kids’ style as much as they do. Durable, high quality and on trend for the spring season, there’s definitely some great finds to snag right around the corner from your home. Your secret is safe with me. 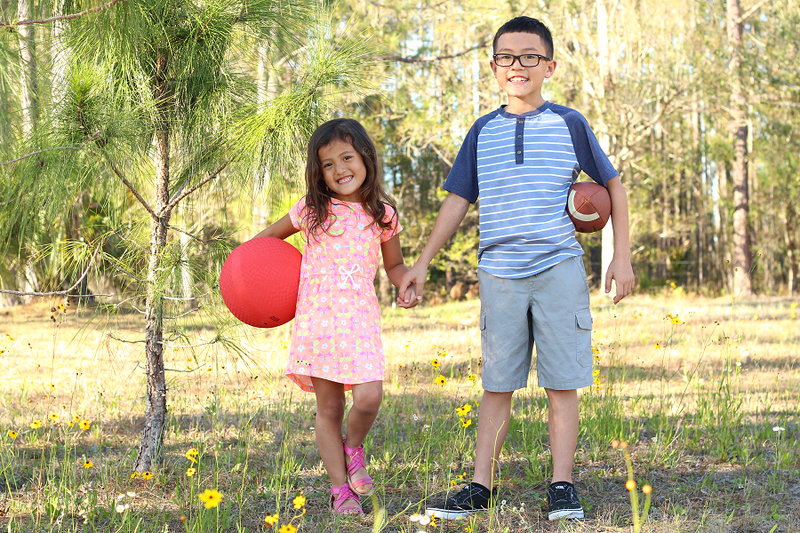 Head into your local Family Dollar now and grab the best kids’ styles for less. Be sure to follow Family Dollar via Facebook, Twitter, Instagram, YouTube and Pinterest for more fashion inspiration, Smart Coupons, deals and more. 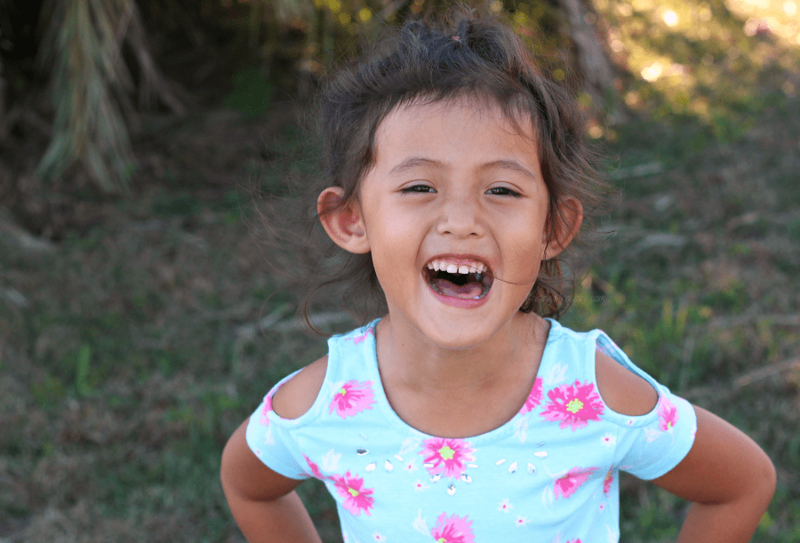 Have you shopped for trendy kids’ clothes for less at Family Dollar? Be sure to follow Raising Whasians via Facebook, Twitter, Google, Instagram, Pinterest and YouTube for our family moments, recipes, crafts, travel, fashion on a budget and more. Your kids are so cute and the clothes are awesome. I will definitely tell my brother and sister to look there for kids clothes that really are great. These clothes (and pics of your family) are gorgeous. I love cut-outs on my daughter, too. I’m going to have to check out this store. The pink shirt is my favorite. I love the details on the bottom of it and the color! I never would have thought to check Family Dollar for clothes shopping. I’m going to go this weekend and see what all they have for my kids! I love the dress your daughter wore in those pics. I wouldn’t have thought you could get such trendy kids’ clothes at Family Dollar. I will share this info with my cousin. She’s got three daughters who are all showing their personality in the clothes they choose to wear. Thanks for letting me know. BTW, your kids are adorable! I am so picky too when its comes to my kids wardrobe. But I see to it that it will not be as expensive as the branded ones. I’ve never shopped at Family Dollar, but these styles are so cute so I’ll have to check them out! 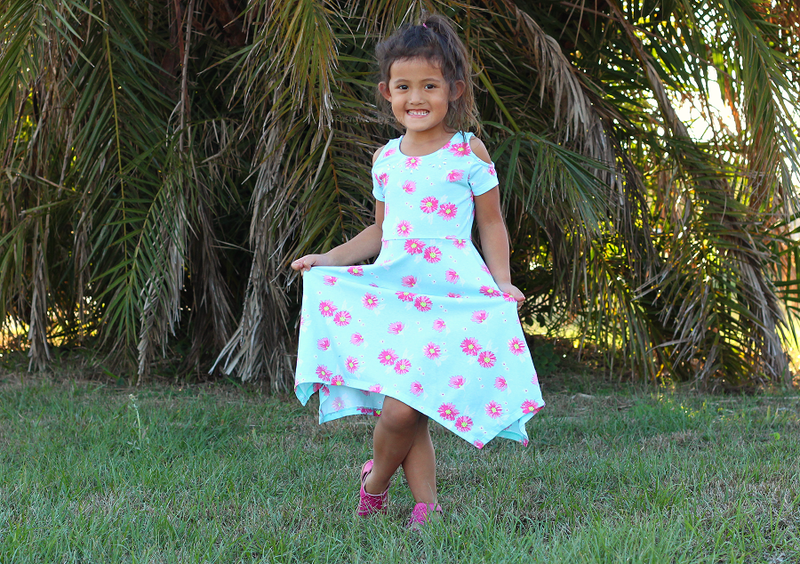 Your daughter looks spring and easter ready. I love this vibrant clothes! What cute clothing styles! They look great! I’ll have to look into this as I love getting a good deal and spending less overall! These are such cute out fits and a great deal. I wish we had a Family dollar store here. I love finding deals! I often buy next summers clothes at the end of this summer- same for winter, etc. Gotta save when you can so you can have money for more important stuff, like vacations!!! Very cute! I love finding trendy deals for my son.